Users are realizing ROI through predictive maintenance with new technology. It’s every production line manager’s nightmare—some machinery breaks down, stopping production on the factory floor. In a fab, if just one piece of semiconductor manufacturing equipment goes down and is out of service for hours, wafer fabrication can grind to a halt. Such shutdowns are expensive, especially if the plant is operating on a 24-hour schedule to meet demand. One selling point for the Industrial Internet of Things (IIoT) is it makes it possible to catch equipment failures before they happen by using predictive maintenance. What makes IIoT technology good for automating factory floors and simplifying data collection from smart meters and other products makes it good for keeping factory equipment running. Predictive maintenance can provide wafer fabs and other industrial facilities the ability to know when a certain machine might go down, based on vibration monitoring, power consumption, and other means to detect anomalies in operation. Being able to stay ahead of equipment shutdowns in a mine, steel mill, or factory can save money and time for a busy enterprise. Predictive maintenance can be used to monitor and update devices. Although predictive maintenance is related to preventive maintenance, they are not the same. Operators perform both types of maintenance before equipment fails, but they use different data sets to determine when and what form of maintenance is needed. Predictive maintenance relies on the actual condition of the equipment in question, using real-time data coming from sensors to give operators visibility into the current state of the equipment. Preventive maintenance uses manufacturers’ maintenance schedules based on statistics of average or expected lifecycles for that equipment. Predictive maintenance enables the timely use of corrective — often unscheduled — maintenance. Fig. 1: Effective maintenance strategy. Source: Deloitte Consulting. “Anomaly detection is at the heart of predictive maintenance,” says Scot Morrison, general manager of embedded platform solutions at Mentor, a Siemens Business. Artificial intelligence (AI) and machine learning (ML) technology are often involved in this aspect of IIoT, and different types of anomaly detection employ various AI or ML techniques to find anomalies. For instance, acoustic, pressure, temperature, and vibration monitoring can be employed in establishing predictive maintenance. “One of the main things you have to worry about is false positives,” Morrison warns. “When we think in terms of IoT, we think of terms of intelligent sensors and actuators, which we typically call end nodes, being orchestrated in some fashion,” Morrison says. In a classical environment, some type of control function, such as a cell controller, is running on a central PLC [programmable logic controller], a rugged bank of computers located in the factory designed for a factory’s harsh environment. An IIoT architecture can move away from this model and put data into the cloud. In the cloud, the data aggregated from the sensors can be interpreted through AI/ML programs that can produce an action or recommendation (an alarm) to operators watching the data. Actions can even be automated. The cloud and AI concept changes the business model into a service. It’s “something as a service,” Morrison notes. The challenge is trying to find patterns in sensor data records that can indicate a failure before it happens. That could involve fully autonomous machine learning, where it is customized to a specific piece of equipment, or across a fleet of assets that the fab owns. It also could be tailored to a specific line where chips are being manufactured in Arizona, but the detection algorithm is running on hardware in Malaysia. “It could be weather, it could be the human operators that are involved, but the software is going to automatically detect the subtle nuances and going to help predict when those machines need service and maintainability,” he adds. An alternative to AI in predictive maintenance is the use of digital twins—models of the equipment being monitored. Such models could be fed into an evolutionary neural network, and a production cell or an assembly line could be created as a digital version. A high-fidelity digital twin may be preferable to an AI-based black box. For semiconductor manufacturing equipment, the stakes are so high that extra effort spent on making sure something doesn’t break is considered resources well spent. Predictive maintenance is proving its effectiveness with return-on-investment, says Burger, especially when it comes to preventing catastrophic events in production that can ruin a fiscal quarter’s results. This is consistent with the thinking at Falkonry, a provider of machine learning software-as-a-service for industrial operations. The company offers “a data scientist in a box,” according to Crick Waters, the company’s senior vice president of customer success. Falkonry’s investors are Basis Set Ventures, Polaris Partners, Start Smart Labs, and Zetta Venture Partners. Falkonry is involved in automotive, chemicals, electronics and semiconductors, mining and metals, oil and gas, and power and energy. The company’s technology detects patterns in multivariate time series data and predicts critical events. The software is “ready-to-use, operational machine learning,” Waters says. “With the advent of high-performance computing and the software we have available today, we can apply complex machine learning to complex sets of data. The dark data that is sitting in data storage is now something, using our technology, our customers are able to see what’s happening in their processes by having Falkonry go through the data, find patterns that occur over time,” he notes. The technology is useful in semiconductor manufacturing, examining wafer fabrication tools and studying their calibration. Falkonry’s software identifies colors and patterns in the data, indicating “what’s happening inside a machine,” Waters says. Falkonry discovers real-time values, assesses quality conditions, and provides early warnings about possible breakdowns, through learning and applying what the software learns, he adds. 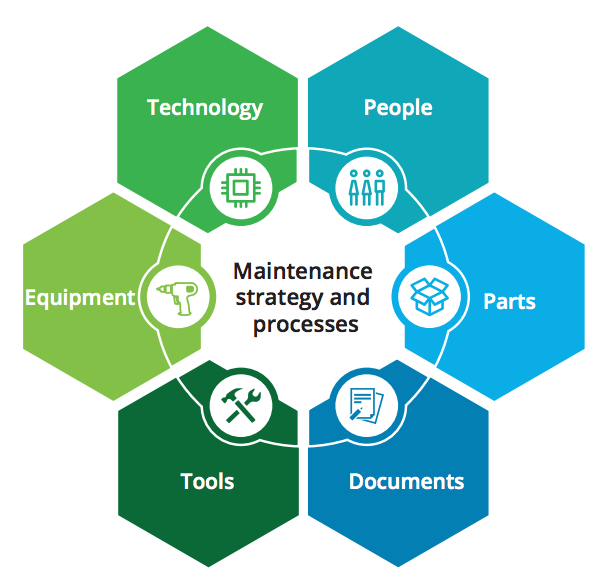 Predictive maintenance involves a proactive maintenance schedule, according to Waters. Quality monitoring is important to the process. Welds must be inspected, for instance. Their quality depends upon welding duration and welding time. “There’s a pattern to a good weld, and there’s a pattern to a bad weld,” he says. With this method and technology, it is not necessary to inspect every weld, as the bad welds will be picked up. Falkonry’s customers include Ciner Resources, a mining company; EDP, an energy company in Portugal; Kawasaki Motors; and Ternium, a steel manufacturer in Latin America and North America. The IIoT is proving its usefulness through predictive maintenance, which can prevent expensive breakdowns in factories, wafer fabs, and other facilities. The technology helps to keep production going on a steady basis, and that benefits the bottom line. Rising value of data and growing complexity driving sense or urgency. Connecting industrial equipment to the Internet offers big improvements in uptime and efficiency, but it adds security issues. Things are coming together for the Industrial Internet of Things, but security is a huge and growing issue. This article was very important for understanding the most relevant issues on predictive maintenance level for different stages. But can you streamline this predictive maintenance in a specific area on aviation and airport systems for compliance?